On this page, You’ll discover my hand-picked list of WP landing page plugins and page builders that are trusted by top marketers around the world. WordPress is now the way to go for democratizing publishing, and that means you are required to be the best when it comes to creating landing pages. Landing pages are often the determining factors for your online success, as they are the end all and be all for your conversion rates. Let’s face it. 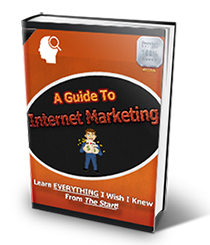 Every Internet Marketer has struggled with Landing Page design at some point in their career. And the chances are that if you are reading this post right now, you are looking for the best landing page plugins for WordPress. You are in luck, as today we are going to break down the Top 8 Page Builders for you. Read on, to find out. The first OptimizePress was awesome, and the new OptimizePress 2.0 simply makes it one of the best WordPress landing page plugins ever. It has been out for quite some time now, with its release in 2013, and it continues to be one of the top performing WordPress landing page plugins. So, what is it that sets this apart from the rest? 1. The biggest difference is that while OptimizePress 1.0 was a theme, the new version is both that, in addition to being a plugin, leaving it to you to choose which one to use. In case you decide to use it as a plugin, it will act as a different theme while retaining some of the default settings from the original, like typography. 2. Another big change is the live editor which makes it much more convenient for even the technically unsound people to design landing pages. Though this version retains some of its old properties, the new version comes bundled with endless rows and elements and layouts, (instead of the the shortcodes of OptimizePress), which you can use to create fantastic Landing Page designs. 3. 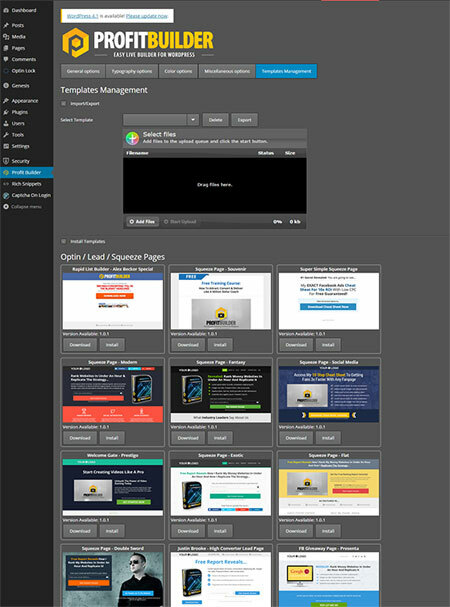 There is an option of sharing your templates (a sales page, for instance) with anyone having a copy of OptimizePress 2.0.The first OptimizePress was awesome, and the new OptimizePress 2.0 simply makes it one of the best WordPress landing page plugins ever. It has been out for quite some time now, with its release in 2013, and it continues to be one of the top performing WordPress landing page plugins. This brings us to the fact that OptimizePress has now its own site, where you become a member with or without being a WishList Member, because these two are now integrated. 4. OptimizePress is extremely mobile responsive. This is critical, as a very big percentage of visitors are likely to arrive at your landing page via mobile devices. 1. Many find OptimizePress slow and cumbersome after OP1. Those who were accustomed to the shortcodes actually grumbled at the repeated adjustments and previewing of the pages for each and every change they had to make. 2. There is a shortage of global options, something which was not a consideration in OP1. If you want to change the font size, for example, you need to go to each page to get it done. 3. Compared to cheaper plugins like WP Profit Builder, you get a lesser number of templates, though it’s more established with more documentation. Also, you need to pay a yearly fee if you want continued support and updates. 4. Similarly, I also found some of the templates falling short of my expectations, thus requiring a lot of editing before the thing suited my exact requirements. But, you can overlook this, since I am picky when it comes to landing page design and I have my style of doing things, which is not a common practice. The Thrive Landing Pages come with a drag and drop Thrive Content Builder which is one of the simplest and best tools for WordPress landing page creation with its user-friendly interface. Thrive Landing Pages come with a whopping set of 157 templates (at least when you purchase the pack, with more to follow soon). And in case you are not happy with what you see, you can always resort to a little bit of customization. 1. Thrive Landing Pages allows you to tweak with images, fonts, and buttons, add images, maps, colors and near about anything you want, and change the size and order of the page elements. You can create beautiful looking landing pages in 15 minutes at the most if you are going to tweak a lot of things around. 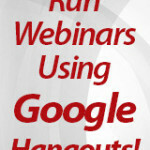 It comes with all kinds of landing page layouts like Email Optin, Webinar, Squeeze and Sales Pages, and the like. 2. A notable feature is an integrated Multi-lingual option which allows you to translate pages into different languages of your choice. 3. What I loved about Thrive Landing Pages the most is that you can integrate it with almost all the key Email Marketing Services with a few clicks of a button, though it is not that this option is not available in Instabuilder or a few other builders. While at $59, it is one of the cheapest plugins around, it also has some bummers. 1. In general, except for the Thrive Leads Plugin for Optin Forms, there is no direct A/B Testing for the Landing Pages, though the developers have let out that they are working on it. 2. There is a little learning curve, though the page builder is simple. After its release in 2014, it has managed to create quite a storm. And there are well-founded reasons for that. Let us look into some of them. 1. At the price of $47, it is the best WordPress landing page builder that is there in that range. Like OP2, it comes with a theme which you can use, in addition to the plugin, and like the Thrive Content Builder, it is very easy to use on account of being drag and drop without the requirement of any prior knowledge of coding. 2. In addition to the landing pages, you also get templates for home and about pages, local marketing pages, product review pages, FAQ pages, and many more. 3. WP Profit Builder too has a lot of integrations of offer including the big ones like AWeber, PayPal, MailChimp, GoToWebinar, and is remarkably flexible. 4. This plugin is highly optimized for mobile and tablet viewing, and this is always a great advantage, as viewing from portable devices is soon to overshadow desktop viewing. 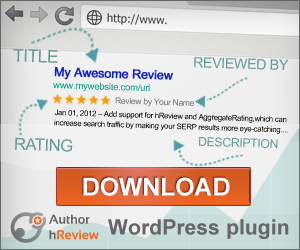 Also, this WordPress plugin is 100% SEO optimized so that you get the best possible ranking. 1. 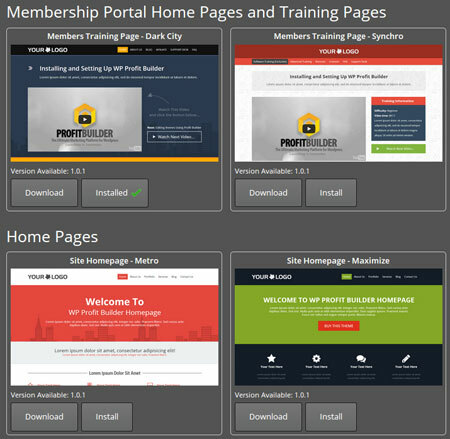 WP Profit Builder has a bit less number of templates when compared to Thrive Content Builder (around 60, but there are continuous new additions free of charge). 2. The customer support is not good. There are no community forums, which is a big drawback in case you don’t feel like waiting till the support gets back to you. Granted that the thing is cheap, but then what is the point? 3. Many have found the video tutorials, the only mode of documentation available as of yet, to be off-putting, especially those who prefer reading from written documentation. This is another popular drag and drop plugin that is generating waves because of its attraction for a niche audience, and comes with a well-crafted animation support. 1. Its biggest strength is the high conversion rates it manages to create. Not only does the one-click integration offer boosting of conversion rates with just one click of the mouse, but also the InstaBuilder Exit Popup feature targets exiting visitors and has been found to increase lead capture by as much as 412%. Time delayed ‘Buy Buttons’, Sales Letters and Time Specific Open Charts are some of the other similar tools present to increase conversion rates. And these are not all. 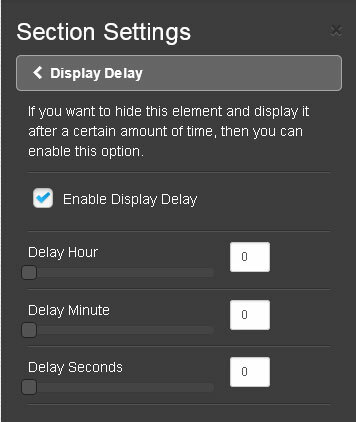 There is this one-click Scarcity Builder which creates a sense of urgency by prompting them to ‘Act Fast’ before the offer runs out. And what’s more, you can adjust the timers according to your convenience and run special deals on Lead Generation Pages, Video Sales Letter Pages, and near about any important page you feel like. 2. 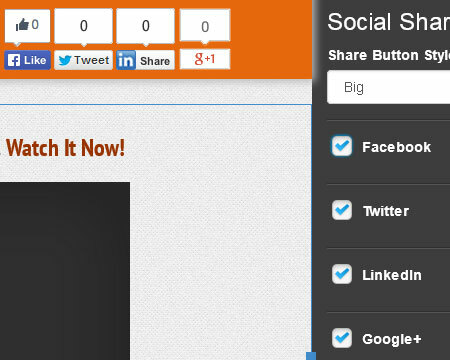 Another big area where InstaBuilder scores is the social sharing system. It combines the website-independence and Facebook integration features of plugins like Lead Pages and comes with an automatic integration of the Big 4- Facebook, Twitter, LinkedIn, and Google+. With an HTML conversion, you can even run your page outside WordPress. 3. In addition to its awesome lead generation capacity, what gives it an edge over WordPress plugins like Thrive Landing Pages is the split-testing convenience. Through InstaBuilder, you get to create and manage multiple page variations with high-speed split testing results. This is one of the very popular drag and drop enabled WP landing page builders and comes in with the standard features like image and text manipulations, content modules like HTML, Audio, Video and Sidebar, etc., a lightweight nature which also makes it very fast (it runs on Bootstrap), WordPress widgets and shortcodes, and a mobile support and SEO optimized output. Beaver Builder is very good in multisite situations. So if you own a network, you are free to go for multisite changes that would save both effort and time. The Agency package comes in handy here, and it will let you configure the plugin from one central point with its network-wide control panel. And in case you are taking orders, you can use the package to change the branding in order to suit your clients’ tastes. 1. Beaver Builder, which costs $99, has a little over 20 pre-made template designs (12 pre-built homepage templates, and 11 inner page layouts), and that is not a very good figure when compared with, say for example, Thrive Content Builder, which offers you far more options to choose from. 2. Unlike the flexibility offered by, say OP2, with Beaver Builder you won’t be able to nest columns within other columns. This is one of the oldest WordPress landing page builders around, and continues to remain popular. 1. In terms of numbers, it is slightly better than Beaver Builder, because it comes with around 50 themes, and also allows you to go for any combination of columns, including nesting. 2. It continues to be a really good tool because of its versatile nature which allows you to create a wide range of things starting from simple pages to whole websites. 3. The tutorial accompanying it is especially helpful for beginners with its comprehensive coverage of basics. 4. Themify scores on the animation department with more than 60 awesome animations to choose from. 1. There is a difference between the front-end editing feature and what you get in the end. This happens due to the editing buttons, borders, etc., and as a result, you are forced to save your changes and then go for preview every time. 2. Themify is not your thing if you have money constraints. You don’t get a combined package either for the themes or for the plugins unless you go for the Themify club memberships which may cost you a considerable amount of money, and whose exclusivity does get dampened by the comparatively less numbers available. This is one of the popular landing page platforms that are very good for stand-alone or small-time businesses. The basic plan comes at $29 per month when paid annually, it is one of the cheapest WordPress plugins out there, though the basic plan lacks some advanced features like HTML editing, template imports and client accounts. At the same time, the highest plan has dropped from $179/ month to a mere $79/ month. So it shouldn’t be very difficult for you. 1. It is very easy to use and is great for beginners. While it is not the most powerful builder out there, it is one of the easiest, with handy tools. 2. When it comes to publishing, it is relatively flexible, with the options including Instapage, WordPress, Custom domain and of course, Facebook. And when it comes to analyzing the progress your page(s) are making, you get to add your Google Analytics ID, which is supported by this landing page plugin. 1. There are some elements which could have been easier to customize than they are at present. 2. Integration is available only with email, and while you can embed your forms directly within your landing page, editing can only be done with the help of your email provider.The number of integrated providers is 14, which is less than some of the other WordPress plugins available. 3. The support is not good. Many have complained about the lack of thoroughness in response to emails. Phone support is only for the higher plans. 1. 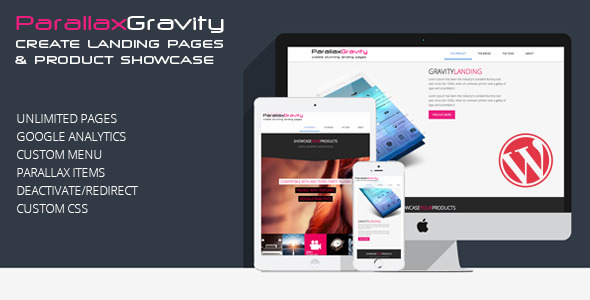 If you want to go for a stylish showcasing of your products, Parallax Gravity is one of your best bets. This landing page plugin allows you to create unlimited landing pages, and has a mobile and tablet support. Parallax Gravity allows you to set backgrounds for each section in a particular landing page, and also supports Google analytics. 1. Due to updates in Chrome and Safari, animation based on scroll is no longer supported by these browsers (at least till the 2.3 version of the plugin). However, it is still supported by Firefox. 2. At $47, this is not one of the best WP landing page builders, though it is indeed very good and is ranked highly in the WordPress landing page plugin reviews. 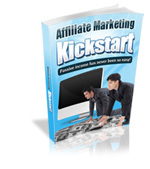 So with these tools, you are free to go and create the best landing pages and have the best possible sales. At the same time, you need to remember, not everyone is a designer. 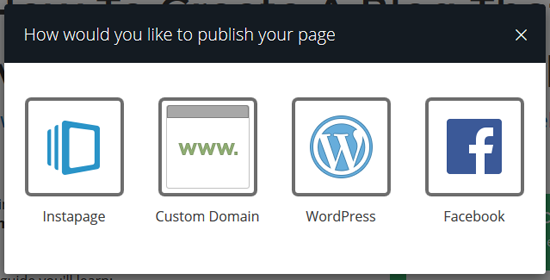 So, while these WordPress landing page plugins are all the more attractive because they can help you save paying a bomb to a content page developer, there is also the risk of you messing it up big time. So be careful while selecting the available options, and always settle for what would work the best for you. Thanks SO much for these suggestions! I found a really good site for building landing pages because of you guys! Thanks a TON!